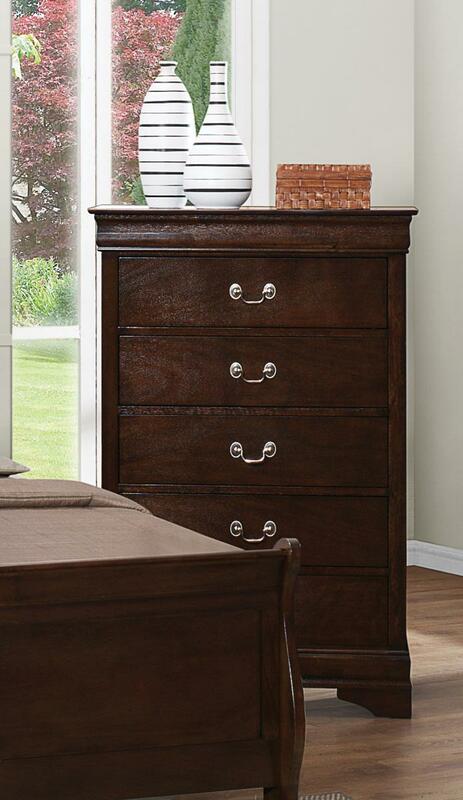 Bring home the casual and elegant Louis Philippe Brown Chest. 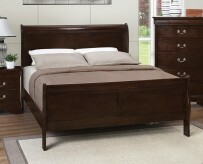 This Chest is made from select hardwood and select veneers in a rich cappuccino finish. Case pieces include metal on metal glides while the silver bail handle hardware accents the finish. With great bedroom storage capabilities and a casual traditional style, the Louis Philippe collection suits the bedroom that recalls luxury without straying from practicality. 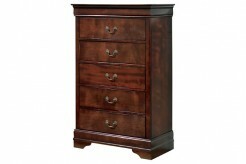 Furniture Nation is proud to offer the Louis Philippe Brown Chest online. 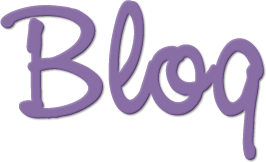 We serve customers across the DFW region including Arlington, Desoto, Denton and many more. 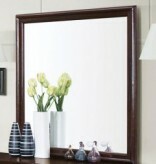 L31.25" x D15.75" x H48.25"